The Ohio to Erie Trail is a 300-mile route between Cleveland and Cincinnati. 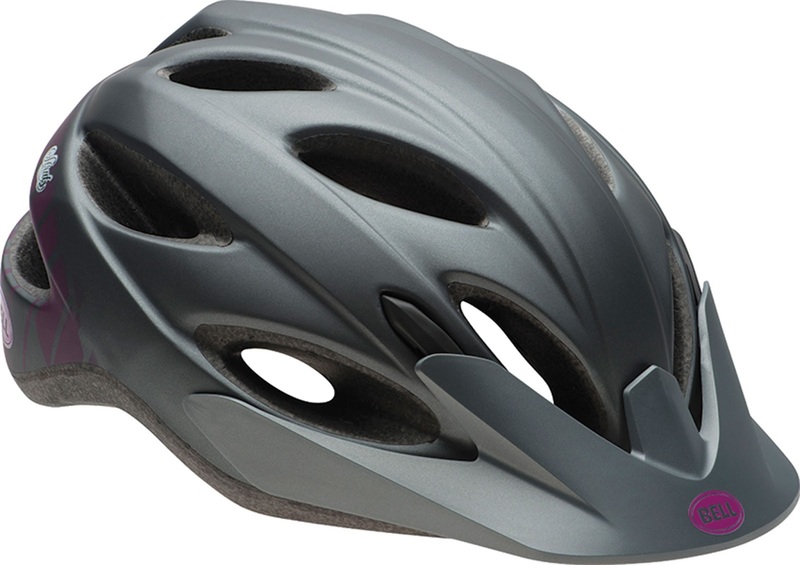 It has proven to be a popular destination lately for touring cyclists who have stopped in our stores. 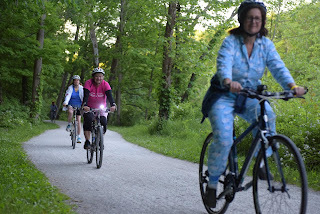 About 85% of the route is on dedicated bicycle/hike trails, with more work on trail connections continuing. Tom Olson (above) stopped in the Century Cycles store in Peninsula yesterday on his way south on the route. 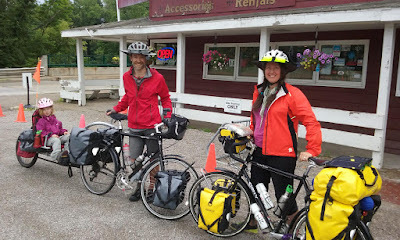 You can see more photos of bicycle touring visitors to all three of our stores on our Bicycle Touring Photo Gallery. Happy Pink Flamingo Day! 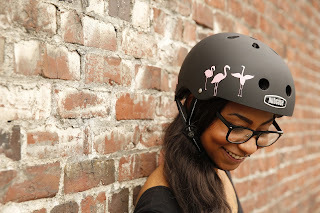 Nutcase Helmets brings you Flamingo Fun! Today is National Pink Flamingo Day. Who knew there was such a thing? The Nutcase "Flamingo Fun" helmet, a flurry of pink beauties on a classy matte black surface, is perfect to declare a love for all things pink and showy, while remaining understated. This and many other fun designs from Nutcase Helmets are in stock in all three Century Cycles stores! Thanks to the nine cyclists who showed up for yesterday's Sunday Service Group Road Bike Ride in Medina yesterday (June 21, 2015)! 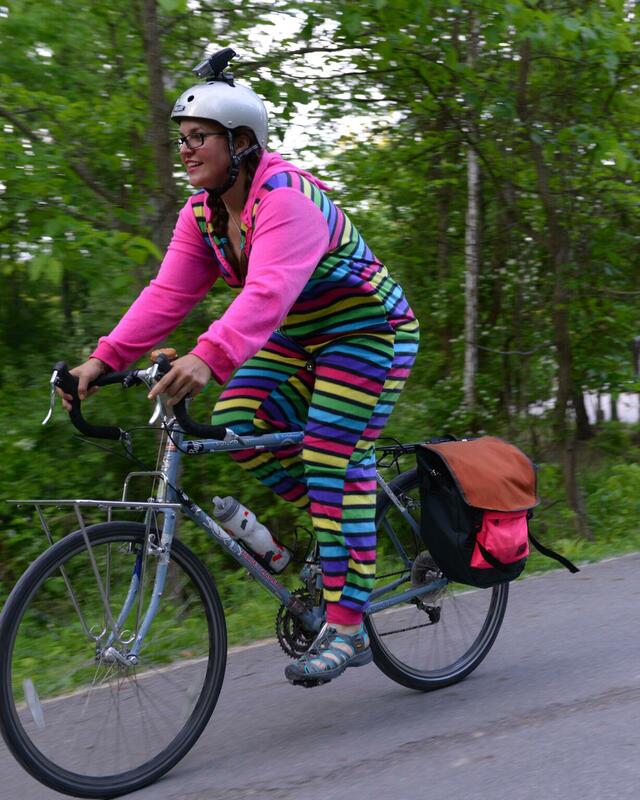 Ride leader Cathy reports that despite the forecasted storms on the weather radar, the rain held off. We are using a new route in Medina to avoid some road construction. The new route a a little more hilly, with some rolling ups and downs, but don't let that stop you from joining us! Vote for Century Cycles in the Cleveland Magazine "Best of Cleveland" Poll! 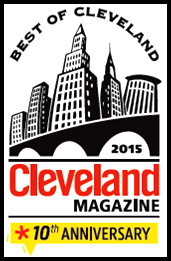 Voting is now open for the 2015 "Best of Cleveland" poll by Cleveland Magazine! 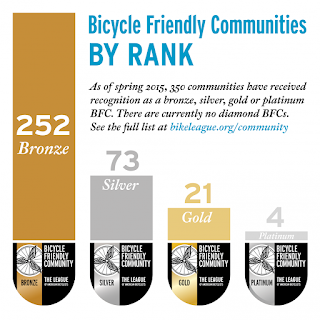 We'd like to thank all of our loyal fans and customers for your support in helping us win the "Best Bicycle Shop" award in the Best of Cleveland poll every year since 2010, and hope we can count on your support this year! 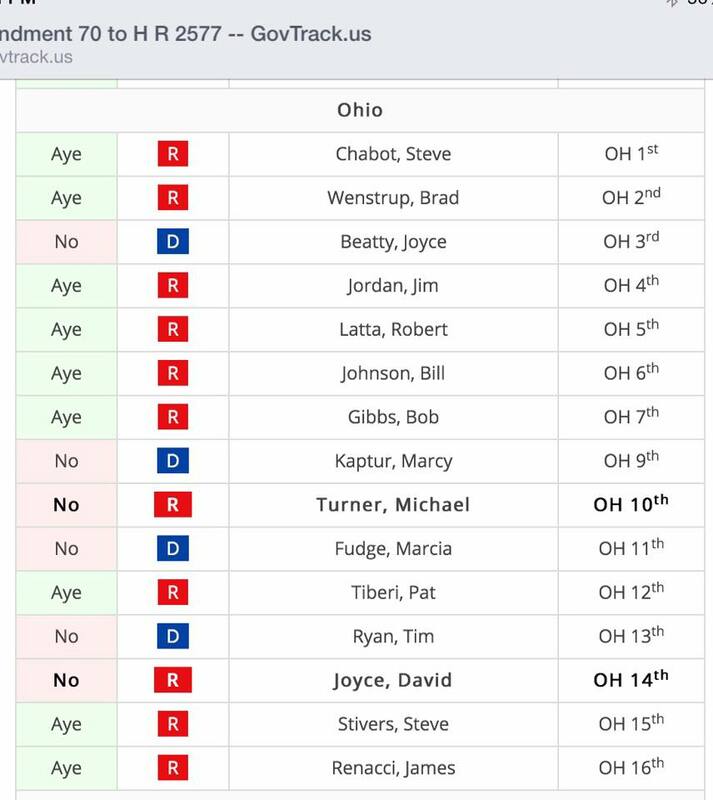 Without any warning last Tuesday, there was a vote in the U.S. House of Representatives to eliminate funding for projects that make new transit systems safer and more accessible for bicyclists and pedestrians. Please take the time to weigh in with your Representative and let them know how you feel about their vote. The Emmer Amendment would have overridden the local planning process to prevent any funding for new start transit projects from being used for sidewalks, bike lanes, bike parking, etc., at train and bus stations. Fortunately the amendment failed, but just barely. The final vote was 212-214. This fight in Congress is far from over as both sides of the chamber continue to debate the best way to fund the federal transportation bill. 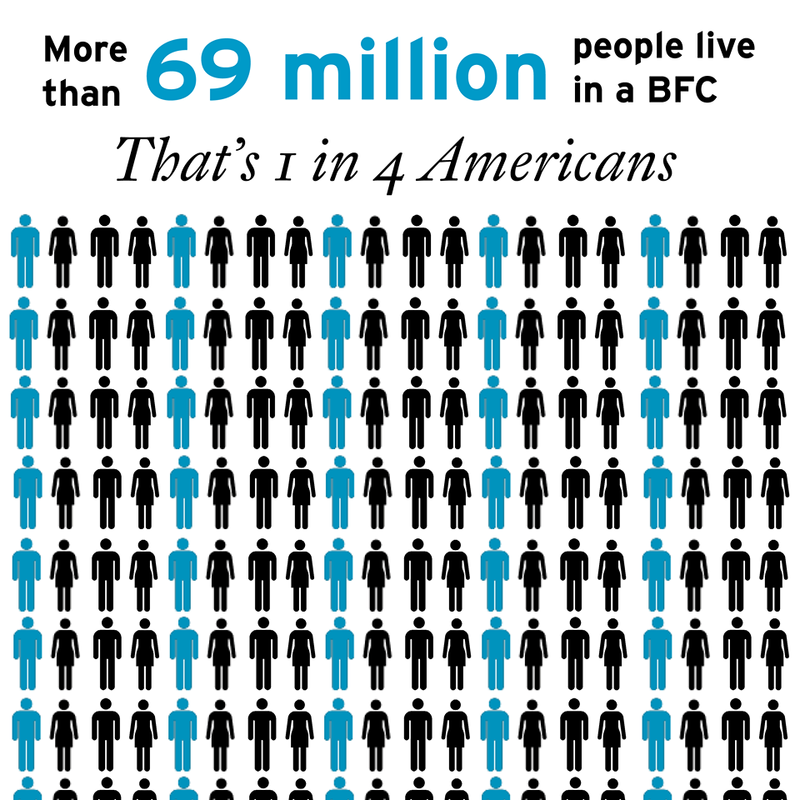 Let your legislator know that their future votes matter -- and you're watching. 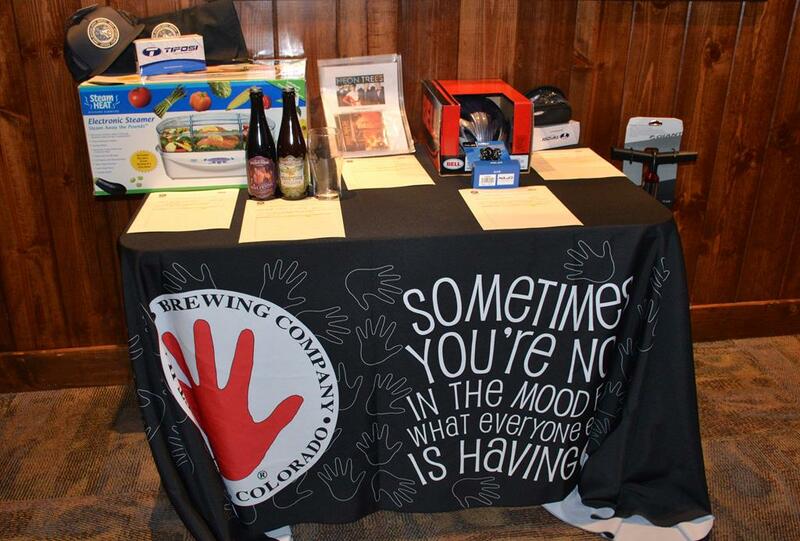 Click here to send a thank you to those who voted down last week's amendment or express your disappointment with those who voted yes. 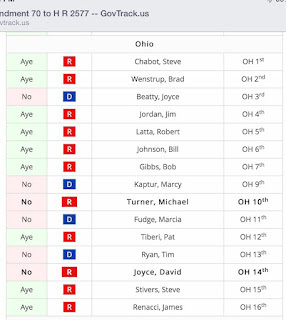 The image above shows Ohio's U.S. House members and how they voted on the amendment. An Aye vote indicates approval for the amendment, i.e. AGAINST funding for bike/pedestrian access. 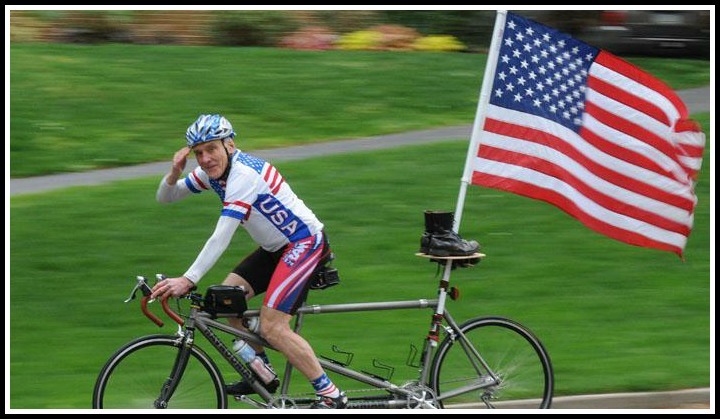 And be sure to share this with your networks so lawmakers in Congress hear loud and clear: I bike, I vote. 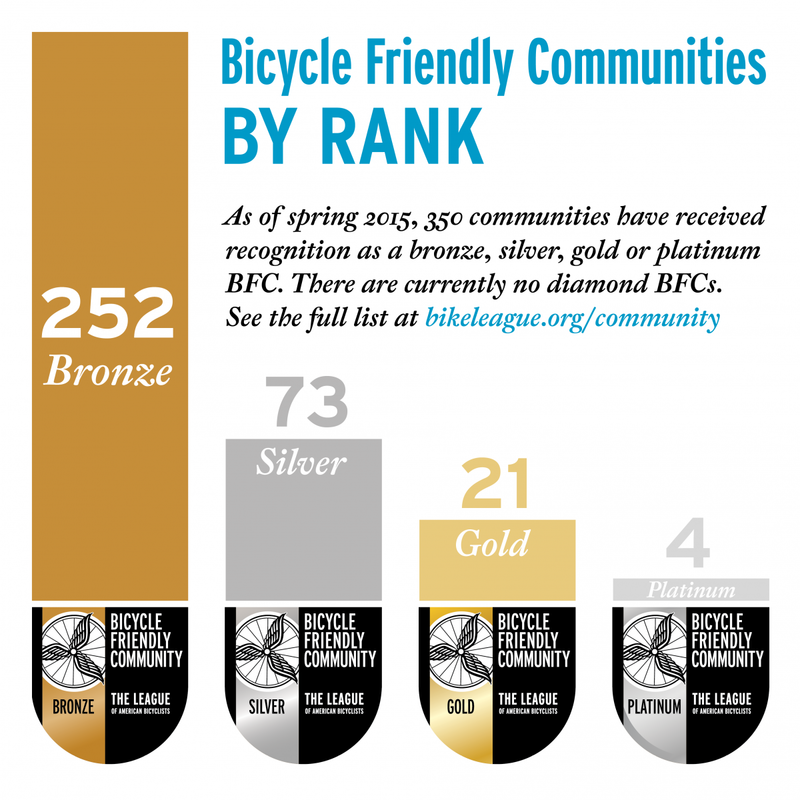 A BIG thanks to the League of American Bicyclists for keeping watch on our lawmakers' activities and getting the word out about this issue in time! Salsa Cycles announces the next generation of off-road touring bicycle, the Cutthroat. Like its older sibling the Salsa Fargo, it's a drop-bar mountain bike designed for carrying self-supported touring gear, and tested on the Great Divide Mountain Bike Route. The Cutthroat shares the carbon fiber Salsa Firestarter fork with the Salsa Fargo 2, which includes the 3-pack bolt system for mounting the Salsa Anything Cage or Anything Cage HD to haul stuff. Most of the similarities end there, though. First off, don't be put off by the violent-sounding name. The Cutthroat is named for the Cutthroat Trout, the official state fish of all five US states that the Great Divide Mountain Bike Route passes through. The Cutthroat features a full carbon fiber frame, with thru-axles front and rear for stiffness and stability. The oversize main triangle allows more capacity for carrying touring gear (fit an XL size frame bag in a size LG frame). The frame has three water bottle cage mounts, plus new custom top-tube mounts for an as-yet-un-announced new top tube pack from Salsa. 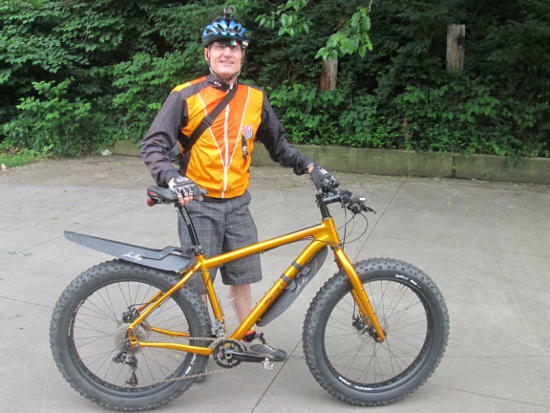 The bike is designed for 29-inch tires up to 2.4 inches wide. In a nod to the bike's origin's, there a map of the Great Divide Mountain Bike Route in the graphics on the bottom of the frame's down tube. The Salsa Cutthroat will be available this fall, in two complete bike options: with a SRAM Rival drive train and SRAM Roam 40 tubeless-compatible wheelset for $3,999.99, or with a SRAM X.9 drive train and DT Swiss/Stan's NoTube wheelset for $2,999.99. It will also be available as a frameset, including frame, fork, headset, and seat collar for $1,999.99. The complete Rival bike comes in at only 21 pounds, or 23 pounds for the X.9 version (size Medium, without pedals). 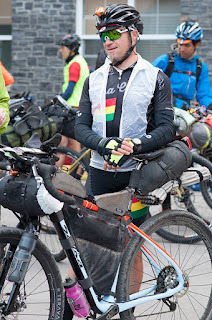 The Salsa Cutthroat is currently being tested as we speak on the 2015 edition of the Tour Divide race, by past winner, course record holder, and Salsa-sponsored athlete Jay Petervary. You can track the progress of Jay and all of this year's Tour Divide racers here. Outside Magazine - Will this bike win the Tour Divide? 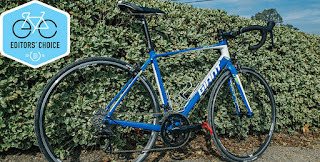 The editors of Bicycling Magazine were so impressed on their test-rides of the 2015 Giant Defy 3 bicycle earlier this year that they named it one of their "Editors Choice" bikes, saying "This is a full-buy recommendation—have fun, get fit, go places, change your life ..."
The Giant Defy 3 strikes the perfect balance of solid, dependable components at a price that's easy for first-time buyers. The Shimano Sora 18-speed drive train is a capable workhorse, and the ALUXX aluminum frame with Giant's Advanced carbon fork "carried its weight with a matter-of-fact demeanor, and it can, on downhills, push past the limits of its pricing." 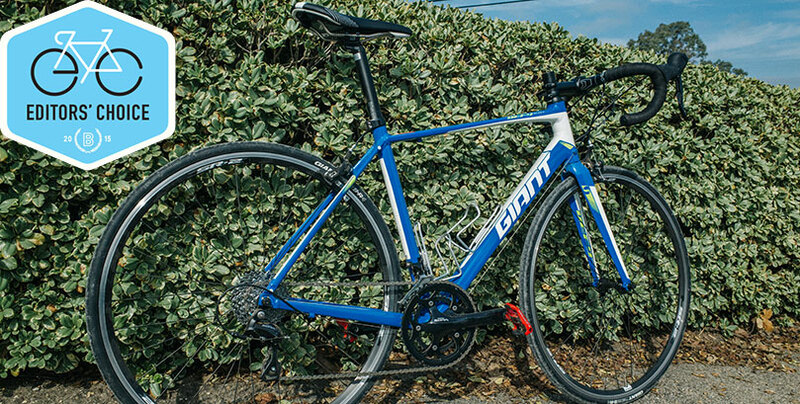 Come test-ride the Giant Defy 3 in one of Century Cycles' stores! 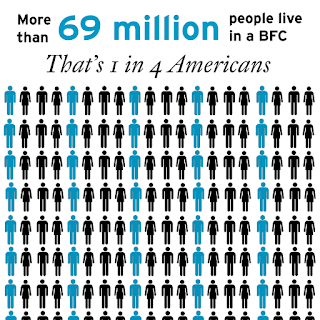 Size and color selection may vary by store. Click here to read the full review. Have you ever noticed a funk in your cycling gear or other athletic equipment that washing in the laundry just can't get rid of? As active people, we put demands on our clothing that regular detergents just aren't equipped to handle. Enter SweatX! 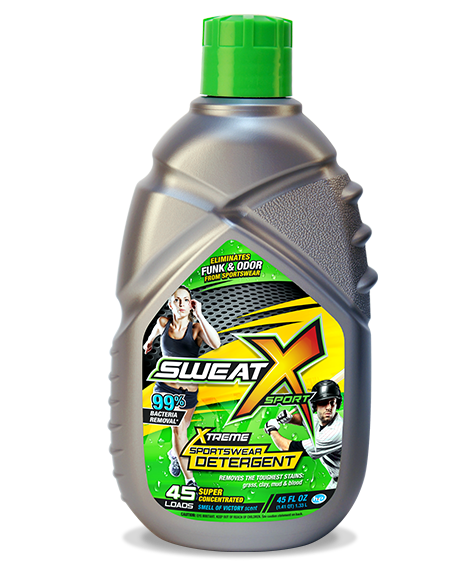 Sweat X Sport Laundry Detergent is a specially formulated high performance sports detergent that is designed to remove even the toughest stains and stench from technical fabrics. It's biodegradable, non-toxic, and compatible with all types of fabrics and washing machines (including High Efficiency machines). Its ultra-thin formula works on a nano-scale to remove odors, as well as 99% of all bacteria that cause MRSA, STAPH, and acne. Not convinced? Stop into any Century Cycles store for a free sample (while supplies last)! 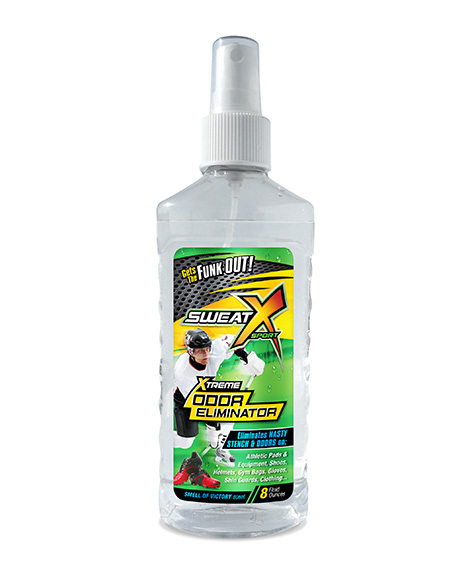 For items that can't go in the washing machine, there's SweatX Extreme Odor Eliminator Spray. 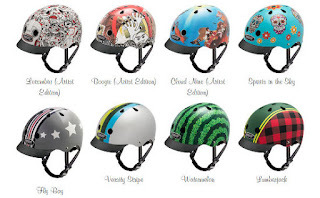 Spray it in your helmet, shoes, gloves, knee and elbow pads, etc. 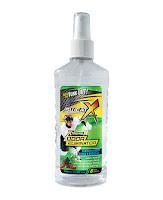 SweatX replaces sweat stench with the smell of victory! 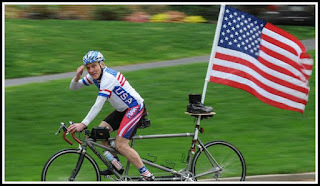 Plus, SweatX is joining Team Left Hand / Century Cycles in our fight to crush Multiple Sclerosis! For every SweatX product sold in our stores, SweatX will donate $1 to our fund-raising efforts for the Bike MS Buckeye Breakaway! 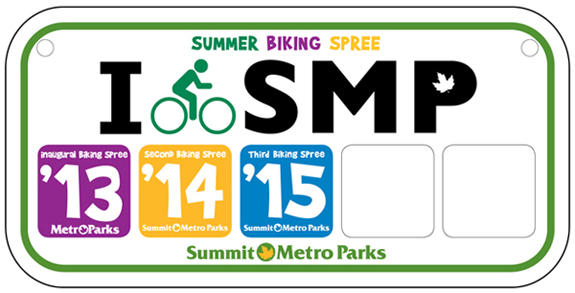 Saturday, June 6, 2015 - Meet at 10:30am at The Chalet in the Cleveland Metroparks Mill Stream Run Reservation. 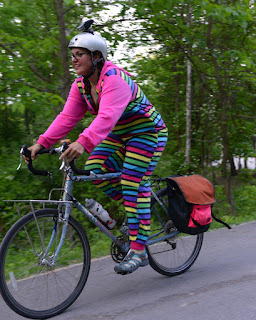 The ride will be 30 miles on the road with varied terrain (mostly Valley Parkway). 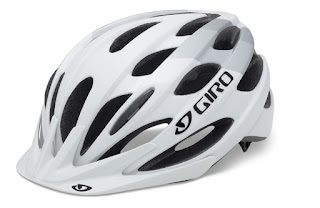 There will be two groups, one averaging 14-17mph with hills, the other 10-13mph with few hills. 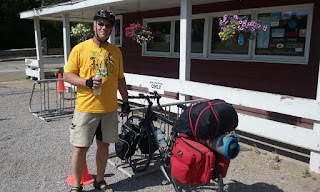 Post-ride refreshments at The Brew Kettle in Strongsville. Sunday, July 12, 2015 - Meet at 8:30am at Shannon's Mini Mart (2776 State Route 307, East Austinburg, Ohio). The ride will be 75 miles on the Western Reserve Greenway; it's a dedicated bike path that is paved and mostly flat. 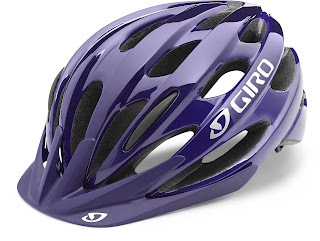 It will be out-and-back, so you can easily make the ride shorter if you wish. Pace will be minimum of 14mph. Bring plenty of snacks and hydration, as there are not many place to stop along the trail. Post-ride refreshments at The Cornerstone Brewing Company in Madison. Fun events for the whole family this Saturday in Medina! Hey, Medina residents! Before you head up to Peninsula this Saturday evening for our Pajama Party Night Ride on the Towpath Trail, there are two more fun and FREE family events in town during the day! Join Main Street Medina and their project partners for a full day of FREE family fun on the Medina Square. Check out the book sale by Project:Learn; kick off your summer reading with the Medina County District Library, play games with Medina Funtastic Toyz, Rinky Dink, Bricks 4 Kidz and more. Create a fine work of art with All Fired Up! and be a part of a fine arts show in July. Learn and explore Safety Town with Medina Hospital, featuring safety forces and vehicles from around Medina County as well as bike safety and so much more! Sponsored by Cleveland Clinic Children's Hospital and presented by Medina Hospital, Main Street Medina and Westfield Insurance. For the last 11 years, Medina Meadows Rehabilitation and Health Centre has hosted a community event on behalf of children call ABC's of Summer Safety. This informational event is for school-age children and their families that will focus on preventing and protecting children from some of the leading causes of child injury. There will be booths relating to first aid, summer storm safety, swimming safety, car seat safety, bicycle safety, fire and burn prevention, camping safety, Stranger Danger, bullying, Internet safety, and more! 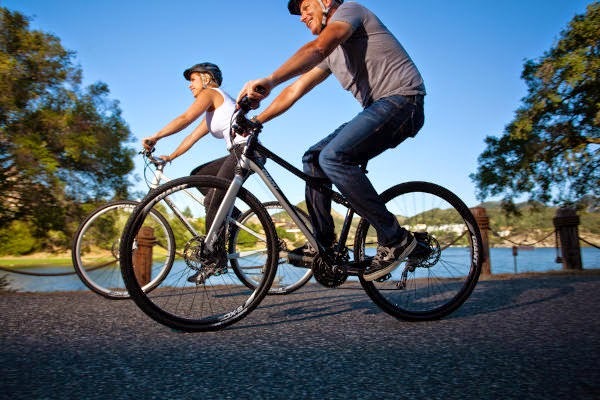 Bring your bicycles to both events for a FREE safety inspection by the experts from Century Cycles! This Saturday, June 6, 2015, our regularly-scheduled Night Ride on the Towpath Trail will be transformed into a Pajama Party Night Ride! The free event festivities begin at 7:00pm with cycle-your-own-smoothies and glow-in-the-dark goodies in the parking lot of the Century Cycles store in Peninsula. 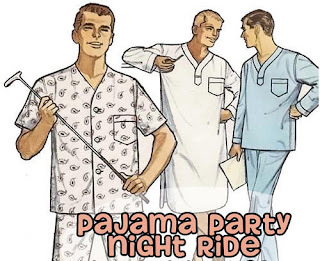 Pajama-clad bicyclists will depart on the Night Ride from the parking lot at 8:00pm. 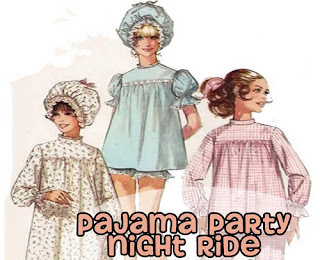 At the 14-mile bicycle ride's halfway point, there will be slumber party snacks (popcorn, cookies, and Twizzlers). After the ride, bicyclists are welcome to gather next door in the Peninsula Winking Lizard party room to trade bicycling (and ghost) stories.